The electronic dance music (EDM) scene is constantly evolving. Practically every minute of every day, there’s a new DJ posting a mix, set or remix on SoundCloud, YouTube and other popular music sharing sites with the hopes of becoming the next big-name headliner at some of the hottest EDM festivals in the world. Especially here in Dallas, there is no shortage of live shows when it comes to EDM. From The Bomb Factory and Lizard Lounge to Stereo Live and South Side Ballroom, Dallas is home to countless EDM concerts featuring some of the most talented up-and-coming and mainstream artists. While Dallas is filled with plenty of EDM shows to choose from every weekend, a 4-hour concert on a Friday night never quite compares to a full-blown 2-day EDM festival like Lights All Night (LAN). Dubbed the Longest Running End of the Year Party, LAN has continued to make its name known in the EDM scene with its diverse lineups and reputation of bringing the best of EDM to the North Texas area. Although the popular event only takes place once a year, LAN fans now have a whole new way to stay connected to their favorite DJs and music. Launched just this year, LAN Closed Sessions, sponsored by Dyad, will be filled with exclusive live streams, photos, videos, sets and more, bridging the gap between the annual festival and its followers to bring EDM lovers nationwide content they crave all year long. 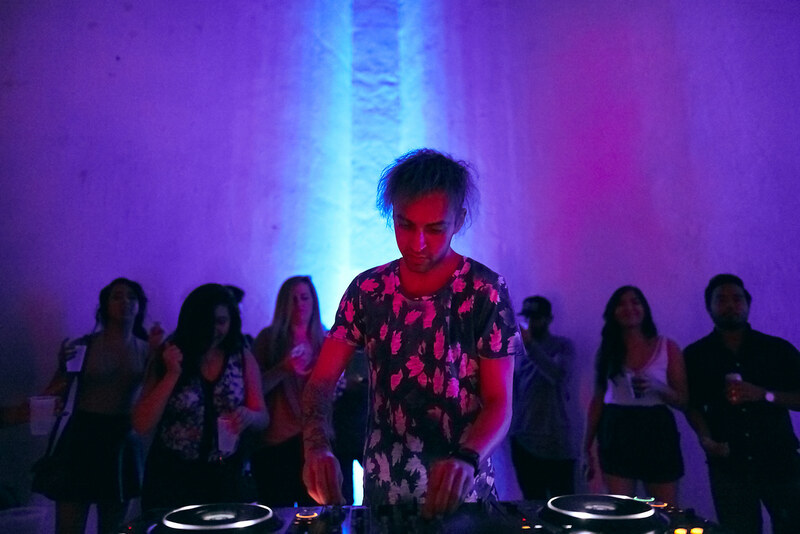 The first LAN Closed Session, featuring Luca Lush, an American DJ and producer based in Brooklyn, New York, took place at Dyad’s very own photo and video studio, The Silo. There will be three to four more Closed Sessions later this year, providing Dallas’ EDM community and beyond with an inside scoop into the artists and music revolutionizing the industry as we know it. To check out a sample of the work we did for LAN Closed Sessions, click here. Be sure to stay tuned for exclusive EDM content you won’t find anywhere else!